To begin with, Trump is not a corporatist. His campaign has gained traction, in part, because he refuses to take contributions from corporations or special interest groups who buy and sell politicians in order to get legislation favorable to them passed through Congress. A corporatist is basically a crony capitalist, and while Trump has played that game for many years from the business side of the coin, he has routinely spoken out against it as a politician. He’s explained that there is a sincere difference between a real estate developer finding himself in a situation where he has to legally bribe political candidates – which is an absolute necessity if you ever want to get anything built in a large city – and accepting such bribes as a candidate who has the means to self-fund his campaign. The fact of the matter is that the vast majority of politicians in this country are corporatists, especially the party leaders, which is why they HATE Trump and his supporters. The Trumpian movement represents a direct threat to the corporatism which has run rampant in America for as long as I can remember. It is this imbedded corporatist philosophy that has lead directly to massive trade imbalances between the U.S. and practically every other major nation of Earth, as well as the continued influx of millions of illegal aliens for the sake of cheap labor. Trump’s campaign has been built primarily on the promise that he will end these insidious schemes once and for all, so to even suggest that he is somehow the biggest corporatist in the race is simply ridiculous on its face. As for him being authoritarian, please explain to me how any GOP candidate who embraces the 2nd Amendment is in any way more authoritarian than any Democrat has been for the past 50 years? Is Trump more government-friendly than – say – Ted Cruz? Yes, but that doesn’t make him a full-blown statist like Barack, Hillary, Bernie, or virtually any leftist politician one could name. He also hasn’t promised to create a federal “Leviathan” in order to beat China in trade or accomplish any of his other stated goals. The fact is that he has called for reducing regulation and taxes on businesses in order to draw resources and jobs back into America from around the world. He also believes in cutting waste, fraud and abuse within the existing federal Leviathan. That’s right, dear Utah, the current government in Washington, DC is already so monstrously huge, corrupt and intrusive that people have been rallying in increasing numbers against it since George W. Bush was president, and many of them are supporting The Donald today. In my estimation, the majority of Trump backers (and I’ve talked to hundreds of them since last summer) are disaffected, disenfranchised, disillusioned, working-class people who are sick to death of watching American jobs move to India and Mexico. In fact, I’ve yet to converse with even one Trumpian who thinks the government shouldn’t be cut down to size, or wants to impose more laws and regulations on their fellow citizens. Utah goes on to state that Mr. Trump self identifies as a “common sense conservative”. Personally, I have watched dozens of Trump speeches over the past several months, not to mention at least 7 debates, and I have never heard him even utter the phrase before. But assuming he has done so in some forum I haven’t seen, I think it’s a stretch to assume he defines those words in the exact same way that most Washington insiders do. Utah also asserts that Trump will likely embrace the “compassionate conservative” process that grows government, yet he doesn’t explain why he believes such a thing. Yes, Donald Trump talks about making deals with politicians, but that doesn’t necessarily mean doing the same sort of idiotic things that people like Mitch McConnell and John Boehner have done over and over again. Trump’s whole shtick is that he makes GOOD deals, not stupid ones. He expresses the importance of WINNING, not giving away the store just so he can get along with his enemies or garner positive write-ups in the mainstream press. Look, there are a lot of good reasons not to favor Trump in this presidential race, chief among them being that Ted Cruz is still in the hunt, and is a far better candidate than anyone else running. That having been said, it is more than a little nuts to rate The Donald ABOVE Hillary Felon Clinton on a list that ranks the current candidates from most (or pro) government to least (or anti) government. Clinton is basically Obama in a pantsuit, and if Utah honestly thinks that Donald Trump would be even half as destructive to liberty, justice and our economy as the Wicked Witch of Benghazi, I’m afraid he’s lost his grip on reality. HOW DO YOU MAKE SOCIETY BETTER? The positions, representing about 1.6 percent of the company’s workforce, will be eliminated over the next eight weeks, with many coming through attrition, the Austin, Texas-based grocery-store chain said Monday in a statement. 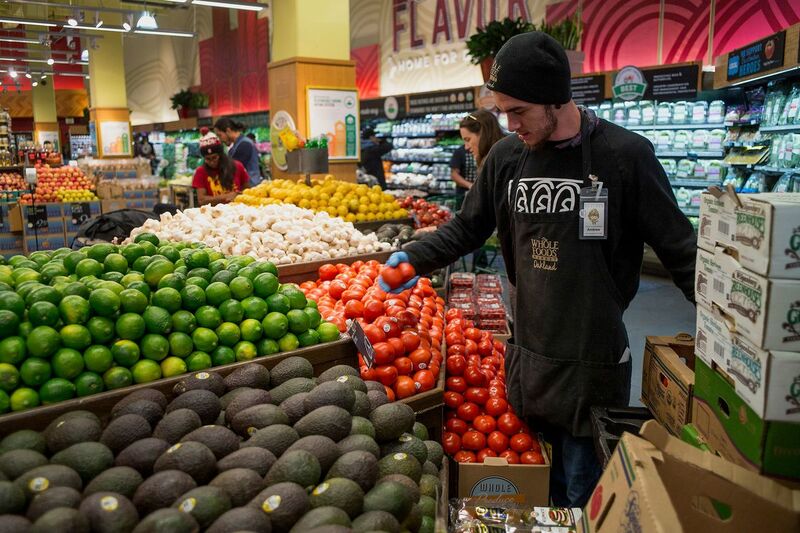 Whole Foods is working to keep expenses low so it can offer its organic and natural products at lower prices and beat back an onslaught from mainstream grocers that now carry similar offerings. The company in July reported third-quarter profit and sales that trailed analysts’ estimates as the new competition restrained growth. Whole Foods fell 1.1 percent to $30.75 at the close in New York. The shares have slid 39 percent this year, while the Standard & Poor’s 500 Index has lost 8.6 percent. Co-Chief Executive Officer Walter Robb called the job cuts a “very difficult decision,” and the company said it is paying the workers in full during the next eight weeks. Whole Foods, which has about 420 locations, has seen its growth slow as traditional supermarkets carry more natural and organic fare. Wal-Mart Stores Inc. sells Wild Oats organic foods, while Kroger Co.’s Simple Truth line has reached $1 billion in annual sales. The company is responding by opening a less-expensive, tech-focused grocery chain called 365 by Whole Foods Market. The first location is set to open next year in Los Angeles. Who Is Dennis Michael Lynch? Dennis Michael Lynch (born August 28, 1969) is an American entrepreneur, documentary filmmaker, and conservative commentator. 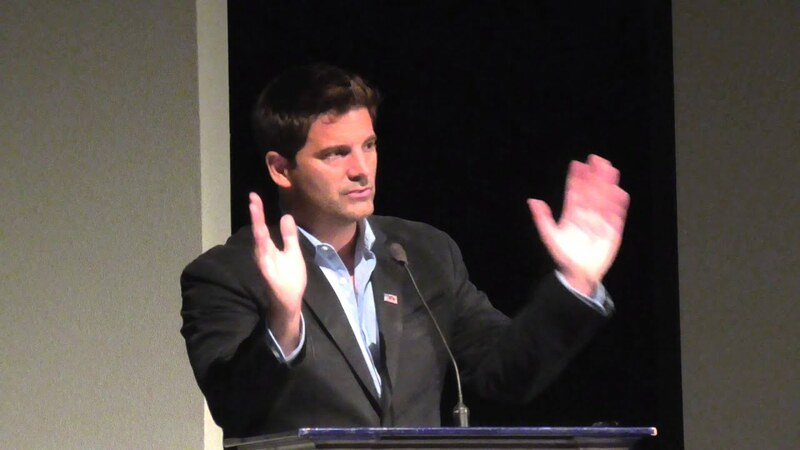 He is the founder and CEO of TV360Media, a company specializing in the production and distribution of digital film, and often appears as a guest on Fox News and TheBlaze. He is currently running for President of the United States as a conservative Republican.